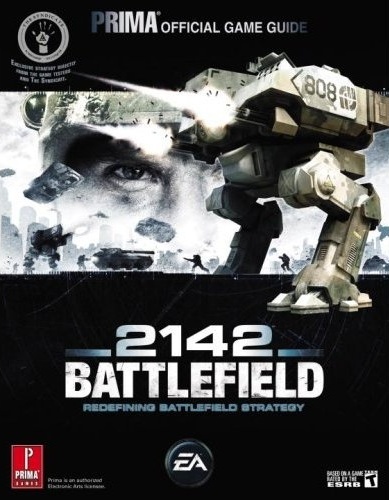 In October of 2006, Prima Games released the Battlefield 2142 Strategy Guide. That guide was one of several that The Syndicate worked on with Prima as part of an effort to usher in a new era of strategy guides. 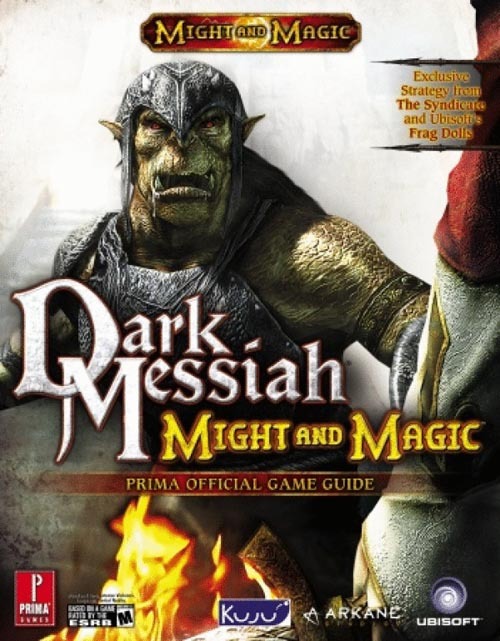 Guides that included much more indepth knowledge, strategies and expertise that really gave gamers more value for their money. 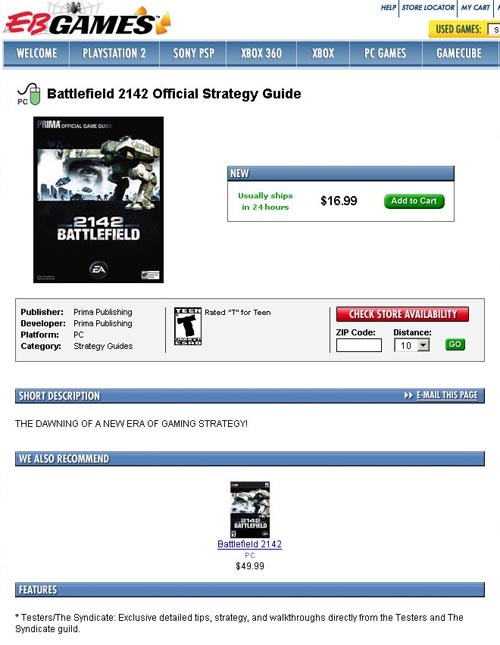 Prima and The Syndicate were committed to that goal and the BF2142 guide was one of the first few worked on together. It also marked a transition point for The Syndicate. Up until this point, our name had been synonymous with being a large, stable, successful and very well known online gaming organization. From this point forward it also became a mark of quality when associated with a game or strategy guide. The Syndicate's association with Gods and Heroes was a mark of quality for that game. The Syndicate's association with Prima on the guides is proudly shown not only in the guides themselves but also on the store sites selling them like this screenshot from the EBGAMES site (below) shows. Below that is the cover art for the BF2142 guide which proudly displays the Syndicate logo in the upper left corner.